Would you like a custom tiki cup? 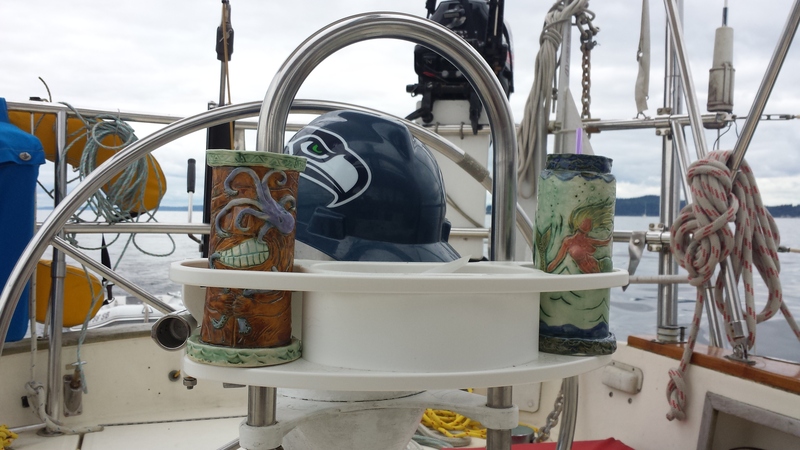 My Mom, Stephanie Rudell, began creating our tiki cups for our sailboat, Pointless. Check out how nicely they fit in our cup holder! They’re not only stylish – they’re functional too! Click here if you would like to order your personal Mama Tiki cup! ← Not just for Mai Tai’s! This oughta make some 12’s happy!